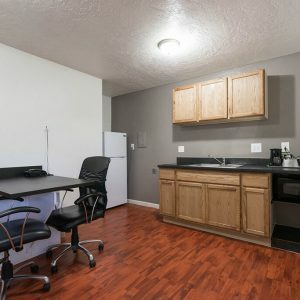 Little Suites Provo is conveniently located next to I-15, Brigham Young University, Utah Valley University, Provo Towne Centre Mall and Downtown Provo. 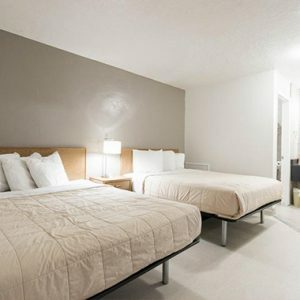 We offer comfortable spacious rooms at affordable prices and our thoughtful staff is prepared to cater to your every need. 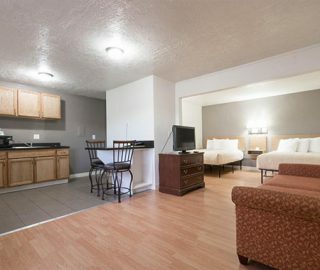 Our spacious rooms are perfect for the traveler who prefers to have a little more room for their money. We provide our guests with everything needed to feel comfortable and at home during their stay with us. All of our rooms are well furnished with a table, flat-screen television, couch and many are also furnished with a kitchenette. Little Suites Provo’s Rooms feature two queen and a king sized bed. 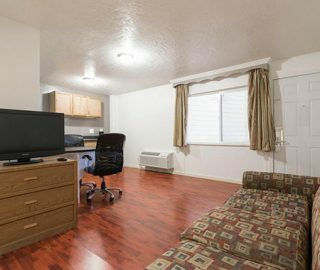 All rooms at Little Suites Provo are nonsmoking rooms. Rooms can be rented nightly or weekly. For the price this was clean, good size room and comfortable. Compared to paying more than double for smaller and way less comfortable room in Jackson I was surprised at the quality of little suites. I would stay here again. 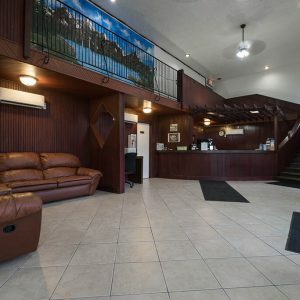 If you can ignore first impressions, this is a great place to stay for budget travelers, especially those with large families. When we first checked in, a homeless guy next door told us there were drugs in the hotel. After three nights, however, we determined that he was just upset they wouldn't give him a free room. I read the reviews on Trip Advisor before staying here and was scared what I would find at the hotel room. But my fears were unfounded I LOVED this hotel, the rooms were huge, and it's in a great location next to a mall. My room was clean and the staff was friendly. Large room. Kitchen stocked with pans, plates and cutlery. Even had a little stovetop for cooking. Close to the mall. Room was huge beds were very comfy. Would like kitchen to have coffee cups and eating utensils. 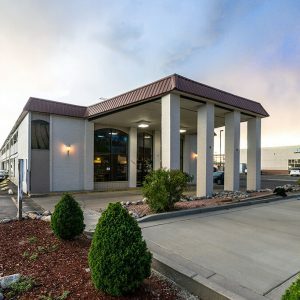 Little Suites Provo one of the best budget hotel is conveniently located next to I-15, Brigham Young University, Utah Valley University, Provo Towne Centre Mall and Downtown Provo. We offer comfortable spacious rooms at affordable prices and our thoughtful staff is prepared to cater to your every need. Little Suites Provo 2019. All Right Reserved.